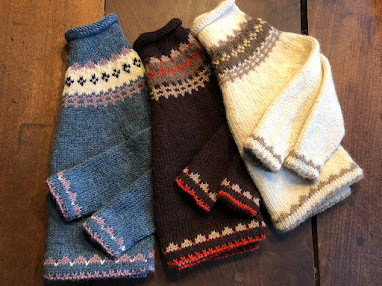 A waffle stitch is done with slipped stitches, so there is only one color knit per row, but gives the impression of fair isle, using multiple colors, but isn't. 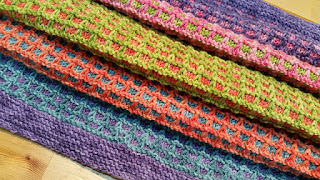 The blanket pattern uses a US 8 (5mm) circular needle and sport weight yarn. The designer used Debbie Bliss Cashmerino. 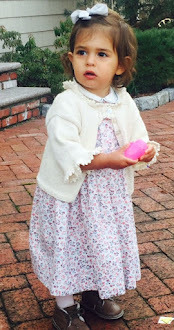 Each ball is 100 yards or 50 g.
Here is "Pastille Baby," a free baby blanket pattern link. Designed by Vickie Hertog and inspired by Lionbrand L40247. All photos by Vickie Hertog. Thank you. For more free baby blanket patterns, click here.